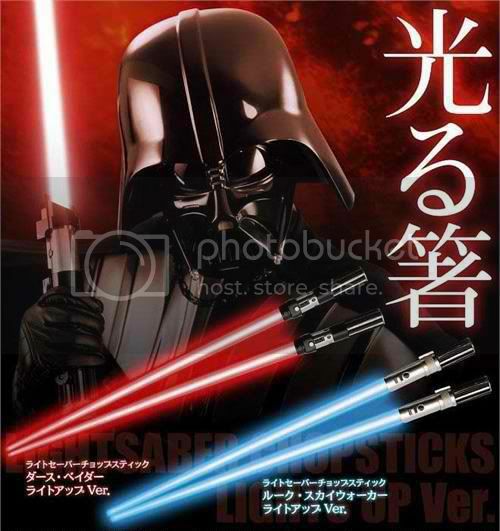 These Star Wars LED Lightsaber chopsticks will probably make me eat more noodles or anything that needs chopsticks to eat. Mom's the world over will need to get ready for the new age of food fights this little collectible will introduce to our tables. If you have around USD 23.00 lying around the sofa you might want to preorder a couple of these while they're still available at the source link below.